The Walking Dead: The Final Season started strong, with Telltale’s talented storytellers crafting a compelling new scenario for Clementine to navigate. After the company’s closure, the fate of the season looked shaky, and Skybound Games took over finishing it up. Ultimately, the finale sticks the landing, closing the book on one of gaming’s best stories. In The Final Season, Clementine is still protecting AJ, a child she’d taken charge of since his parents died in 2013’s season two. In previous episodes, the pair founded the child-run Ericson Academy but then got drawn into a dire plot by returning character Lily, who has been stealing children from Ericson to fight in a war against another settlement. The first two episodes were strong and introspective, while the most recent episode suffered from a rushed pace. At the end of that episode, Clementine and her friends were left on an exploding boat. The final episode, “Take Us Back,” picks up from this point but quickly moves on. Clem and AJ need to fight their way back to Ericson, stopping along the way to deal with zombies and other threats. One memorable scene involves AJ stating he has reached the conclusion that there is nothing after death. This conversation culminates in an argument between AJ and Clementine about the type of person he wants to be. He wants to be a firefighter, he says, but in the post-apocalyptic future he thinks that means killing bad people when he has to. As Clementine, you can agree or disagree, either trusting AJ’s growth or doubting whether or not he’s ready. 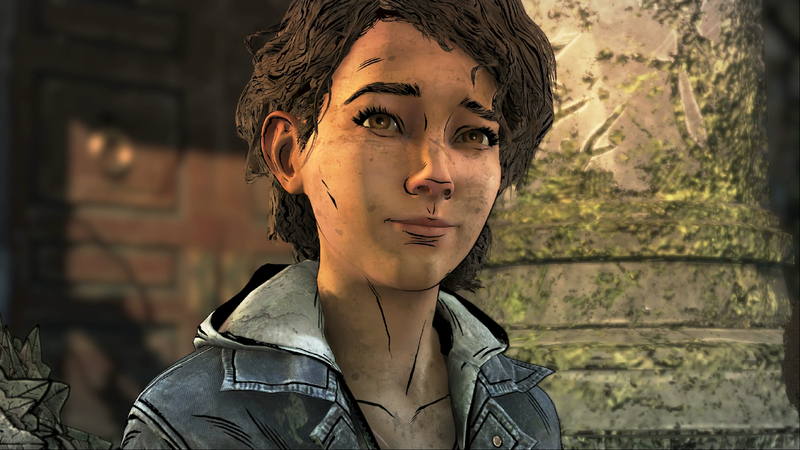 The Final Season worked hard to show AJ changing and growing more dynamically and openly than Clementine did in 2012’s first season. The result is that even as I made the choice to trust AJ, I still wondered if I’d regret it later. The truth was more complicated. After Clementine and the others make their way to a bridge, they’re confronted by one of the survivors of Lily’s gang: a former Ericson student named Minerva. As Minerva draws walkers towards the group, another conflict also arises with Minerva’s brother Tennessee, who won’t leave. In my game, he was holding back Clementine’s love interest Violet. In a different season, I might’ve made a decision here. Instead, AJ did. He shot Tennessee, allowing Violet to escape. Clementine is injured in the process, however, and she and AJ soon find themselves separated from Violet. While trying to escape more zombies, Clementine is bitten. I thought that was going to be the end of it. The Final Season has followed similar beats to The Walking Dead’s first season, implying that ultimately Clem would end up just like the first season’s protagonist Lee Everett. That seems to be the case, and although I was initially frustrated with how predictably that was, what made this moment work for me was how it expressed the relationship between Clem and AJ. The pair hide in a barn and fight off zombies in an extended action sequence. Clem is weak, so there are moments where the player controls AJ instead. Slowly but surely, you’re playing as him more than Clementine. The torch is passed with each new action beat. You make one last call as Clementine. For me, that meant telling AJ to kill me. He brought up an axe and swiped down. The screen cut to black. I would have been okay with the final season ending there. The action sequence was one of the best I’ve ever played in a Telltale narrative, and Melissa Hutchison’s performance as Clementine broke my heart. But there was more, and I ended up being glad for it. Following a flashback sequence as Clem in which you save an infant AJ, the action returns to the present. Now, the player has full control of AJ as he fishes on a riverbank by Ericson and interacts with characters. His dialog and action prompts are different than Clementine’s. Clem’s prompts, like Lee’s before her, were straightforward. They gave paraphrased versions of what she’d say and clearly outlined actions. AJ’s prompts are cerebral, entirely couched through his thoughts. Someone speaks to him and instead of picking a prompt that says “Don’t worry,” you might have to select something like “She did her best” instead. It’s a smart move; why wouldn’t AJ function differently than Clem? He’s his own person, raised in an entire different world. He sees everything through another lens. For a few scenes, I explored the world through AJ’s lens, but over time, it seemed like the game was building to something further. The final reveal isn’t surprising but it is welcome: Clementine survived. She’s at Ericson when you return, minus part of her leg. AJ didn’t kill her. In these scenes with Clementine, The Walking Dead’s final season makes a choice about what kind of story it wants to be. Is it a story about repeated tragedy or something else? Will Clem die like Lee did, or can we find a different path? That different path is where Clementine ends up. Wounded but alive, leader of a community and adoptive mother to the next generation. In her final scenes, Clem alternated between giving confident orders, flirting with Violet, and opening up to AJ in ways that she never had before. The Walking Dead’s final moments are given to AJ, as he walks down Ericson’s halls to his room. Developer signatures light up the walls, a reminder of the people who brought this story to an end. I imagined how packed the walls could be if everyone’s name was there, from 2012 onward. I thought about the Telltale employees who didn’t get to craft Clementine’s finale and wondered how they feel about what Skybound and their remaining colleagues have made.